When is a campus not a campus? The United Arab Emirates has many international Branch Campuses including some from the UK. A recent post here commented that branch campuses, including the University of Nottingham’s campuses in Malaysia and China, were a major part of international activity. The QAA overview report has fuller details on each of the UK universities inspected. The report covers 11 UK institutions but notes there are 37 campuses in total in the UAE, more than in any other country. All the institutions considered in the TNE review of UAE had global aspirations. In many cases, the word global appears in their mission statements or the strap-lines on their websites. On the other hand, there was some evidence that institutions had not fully considered the organisational consequences of the global offering. In some cases heads of the UAE centres were physically located at the UK campus, even where the UAE operation was developing beyond the scale of an administrative campus. One of the branch campuses, otherwise highly successful in organisational terms, had only an indirect line into the governance and management of the university at large. So perhaps some way to go there. 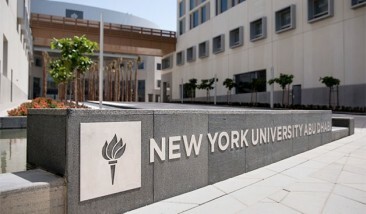 UK universities must be careful not to mislead students about their “international branch campuses”, which are often little more than an office and teaching rooms, the standards watchdog has warned.In its first report on transnational education offered by UK universities in the United Arab Emirates, the Quality Assurance Agency says that only two of the 11 institutions listed as UK branch campuses would meet the definition of a “campus”.“Only two providers, Heriot-Watt and Middlesex, are readily recognisable as branch campuses [offering] the range of facilities a student would expect of a campus in the UK,” according to the Review of UK Transnational Education in United Arab Emirates, published on 4 June.For instance, the University of Exeter’s campus in Dubai comprises an office and a small self-service library, with teaching rooms hired when required, the QAA says.The University of Strathclyde’s Business School, which runs MBAs in Dubai, had no rooms of its own, using spaces within another higher education institution. So, there really are some definitional problems here. A couple of offices or some rented teaching rooms in another institution do not a campus make. It will be interesting to see if the universities concerned change their descriptions of their activities following this report.